The flinging favorite charts an uneven new course as the series hits the big screen. 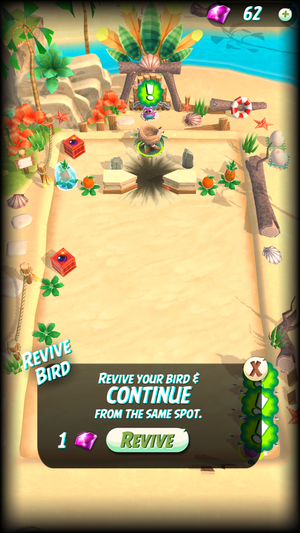 Some stages can be awfully busy: you’ll pull and fling the bird, spin around that pole, and smash through barriers to reclaim all the eggs. In the last few years, Angry Birds has become a lot of things: A go-kart racer, a bubble popper, an incomprehensible puzzle-battler, and a role-playing adventure, for example. And next week, it’ll be a big-budget, big-screen animated film, with the once-simple colored birds getting anthropomorphic features and celebrity voice actors. Remember when Angry Birds was a relatively straightforward, yet totally irresistible pull-and-fling puzzler? Last year’s Angry Birds 2 was a solid return to form, for the most part, but the brand new Angry Birds Action! gets pulled between the two extremes: It’s sort of like the classic games, yet it also goes in a very new direction. Ultimately, the landing isn’t all that graceful. One thing’s for sure, at least: You won’t need your wallet for this freemium movie tie-in. Later on, you’ll battle around soccer balls to get them into holes, detonate a certain number of TNT boxes, or guide baby birds back to their nests. 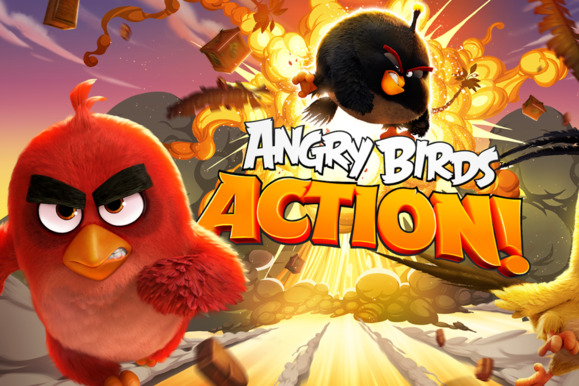 To some extent, you could describe Angry Birds Action! as going back to basics. It has the familiar birds, each with their own abilities and limitations, and you’ll pull back and launch them into levels to try and take down structures, detonate TNT boxes, and rack up high scores. Only here, rather than offer that old-school side-scrolling approach, now you’re given 3D levels with an isometric, top-down viewpoint. 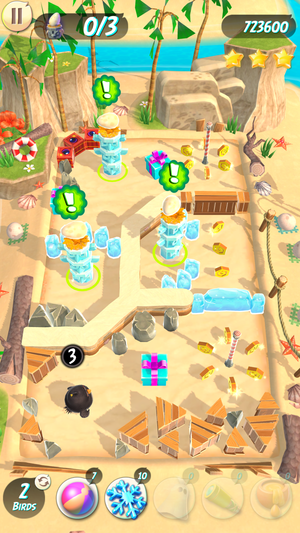 And while the classic Angry Birds games typically required a bit of plotting and planning to discover the best way to take down each complex structure, completing stages in Angry Birds Action! is more about brute force: You’ll just keep smashing things until you get the desired result. Action’s levels look a bit like pinball boards, only you have no control over the bird once it’s pinging around the stage, bouncing between bumpers, explosions, and other items. Action’s energy meter only allows three plays before needing a recharge, but that was rarely a serious impediment in my experience. 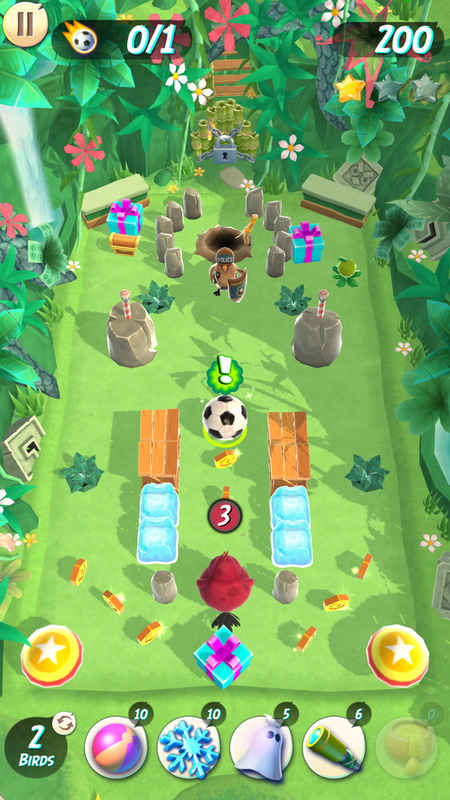 At times, you’ll try to rescue stolen bird eggs from perches or guide baby birds back to a nest; elsewhere, you’ll bounce around soccer balls, for some reason, or just try to trigger a certain number of explosive crates. Whatever the case, the experience doesn’t change too much. Gone from the series’ best entries is the precision and predictability that gave those games a puzzle-like feel. While you can line up a solid shot here, there’s so much resulting chaos that it feels like a crapshoot at times, especially with intense wind hazards that can totally botch your best shot attempts. And there are little hitches along the way, most notably a struggle to make certain shots when your character is near the edge of the device screen. Victories don’t feel especially hard-won in Angry Birds Action, and losses just generate ambivalence and shrugs. It’s hard to feel terribly invested in a game that mostly seems designed around plug-in power-ups rather than strategy or skill. Given how steadily Action hands out free gems, spending one or two on a continue starts to feel pretty automatic. Angry Birds Action! might not be the smart series reboot I might’ve hoped for, but at least it’s not a freemium nightmare. That’s surprising, actually, because the energy system initially seems very restrictive. You’re provided just three plays with a full meter, and they’re deducted not only for failing a stage, but for simply playing it altogether. And each slot takes 20 minutes to recharge normally. However, every stage typically has between two and four areas to conquer, so one level tends to feel like a couple of levels. And to be honest, I rarely wanted to play more than two or three levels in one sitting, so my initial fear of the overly limiting energy system didn’t really pan out. It’s true: If Action had been a bit more exciting or enticing, the current meter approach might have stung more. But it’s not, and thus it doesn’t. 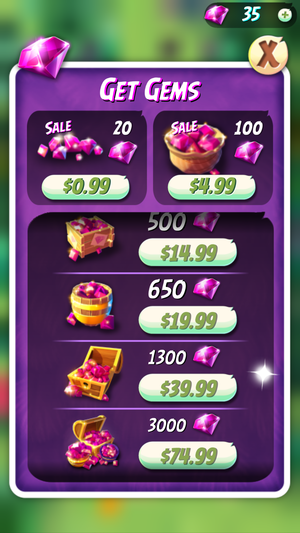 You can buy big bundles of gems, but unless you’re terribly impatient—or just a terrible aim—you shouldn’t need them at all. When you do want to play for a longer stretch, you can refill a single slot on your meter by asking a Facebook friend or watching a video ad, or you can skip straight to the point and pay a handful of gems to fill the whole thing. Gems are sold in big, obnoxious bundles ranging up to $75 in real money for a gargantuan pile, but they’re also routinely rewarded for completing stages. And continuing a stage when you fail only costs a gem or two. 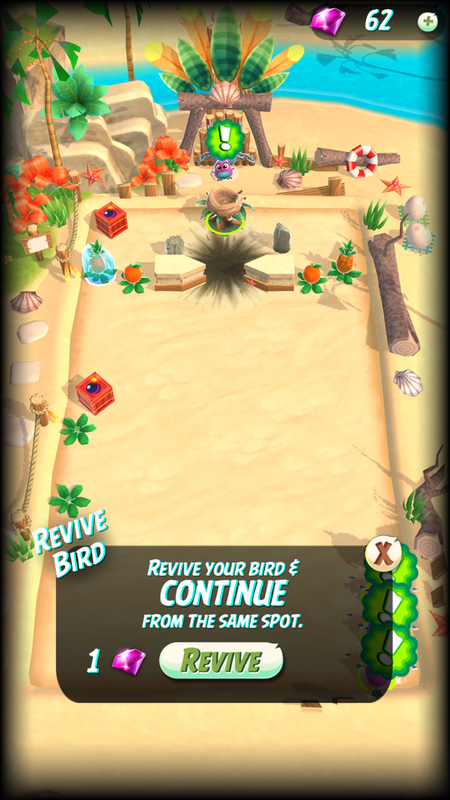 Ultimately, I didn’t spend a penny in Angry Birds Action because I didn’t need to: The game provided enough gems for me to fill my meter a few times and continue several failed stages, plus it offers free power-ups at a regular clip. I’d simply be throwing away Macworld’s money if I bought more gems, as I never ran out of the free ones even after playing more than 50 of the 90 stages included at launch, logging hours and hours of totally free play. 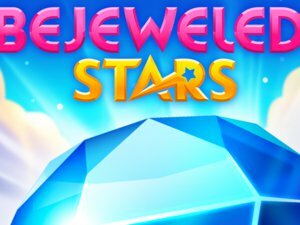 If you’re constantly refilling your energy meter or not even trying to aim, you might blow through your gem stack fast enough to consider spending a few bucks. But in the former case, you’re probably a lot more enthralled with the game than I am, so it’s hard for me to even relate to possibly spending money here. 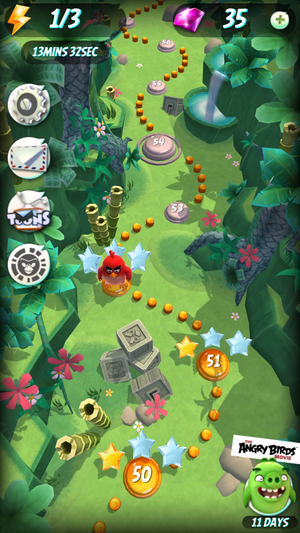 Angry Birds Action is a passable enough diversion for a quick-hit freebie, but it lacks the skillful edge and delightful tension of the earlier games, trading tactical planning for blunt, repetitive attacks. But in an age mostly filled by Angry Birds games that have almost nothing to do with the original game, at least this one kind of feels inspired by the classics.